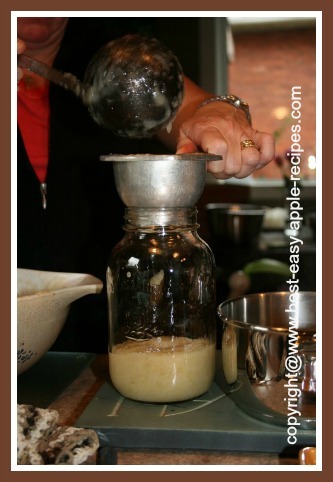 This Applesauce Recipe provides step by step instructions for how to make applesauce for canning or freezing. 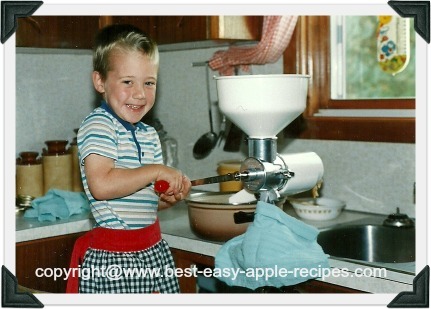 Also included are directions for using a Victorio Strainer to make applesauce. 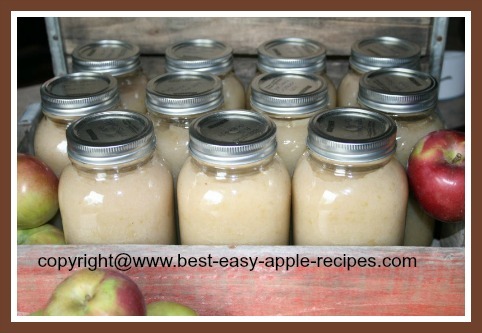 If you are planning to make applesauce for your baby or child, or a large quantity to preserve by canning or freezing, this method will save you a lot of time and effort. 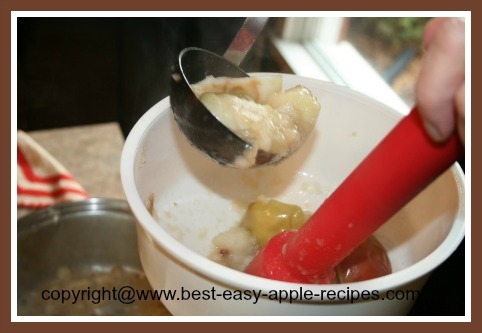 Scroll down for other methods of making homemade applesauce. 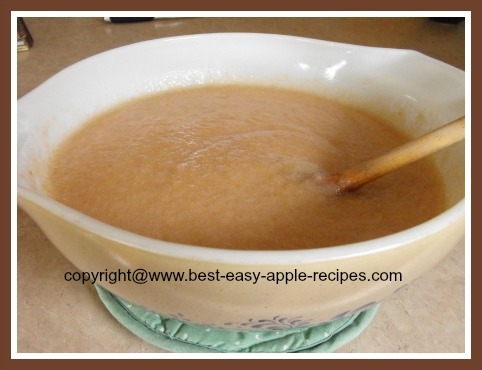 How many apples do you need to make large quantities of this applesauce recipe for preserving it by canning or freezing applesauce? 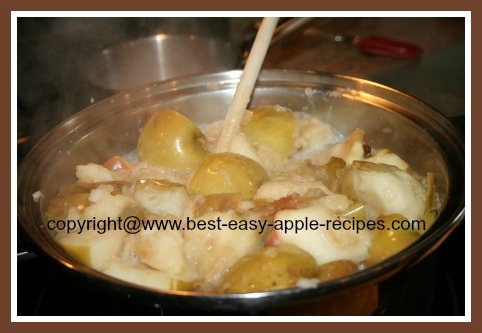 Add the apples to a large pan. I use a "Dutch Oven" pan. Do not fill pan more than about 3/4 full. Add the water to the pan with apples. You may need to add a little more or a little less water, depending on how "juicy" the apples are. 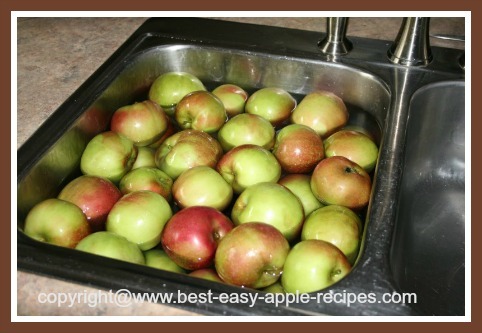 Bring the apples and water to a boil on medium-high heat, then when water boils, reduce the heat to medium-low, and allow the apples to simmer for about 20 minutes, or until the apples are soft/tender. Remove the pan from the heat, and process the apples (and water) through the Victorio Strainer, or through another Mechanical Food Strainer such as a Foley Food Mill or a Strainer Attachment for a KitchenAid Stand Mixer. Assemble the Victorio Strainer as per the manufacturer's instructions, and attach/clamp it to the edge of the kitchen counter or a table edge. Place a large bowl under the strainer guide for the applesauce, and place another bowl beneath the waste funnel for the refuse of apples skin, cores, etc. Using a large ladle transfer the apples (and the water) to the hopper, crank the handle, and let the Strainer do the work for you! The stainless steel screen effortlessly separates the skins, core, and seeds from the apple flesh. 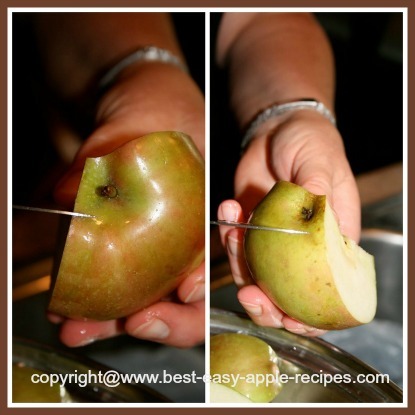 Note - if you do not own a Victorio Strainer as the one in the images above, but you do have a KitchenAid Stand Mixer, it is possible to purchase attachments that you can use to make applesauce in a somewhat similar manner. 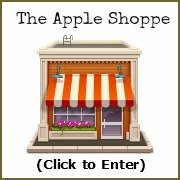 When all of the apples (and water) have been processed, immediately add the sugar (or add a sugar substitute/sweetener) to the hot applesauce and stir well until all the sugar is dissolved. Don't forget to treat yourself, and the kids and hubby when they come home from school or work to a bowl of delicious warm applesauce! Sooo yummy! 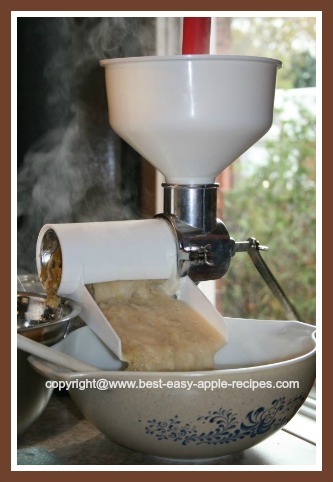 Or process as per the Canner instructions and recommendations or directions. You can add additional flavourings to homemade applesauce, according to your preferences. Common flavourings include (per 8 apples) - a teaspoon of grated lemon rind or vanilla extract, or 1/4 teaspoon of cinnamon or nutmeg. 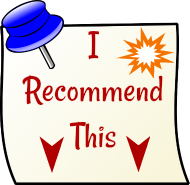 I usually choose to make the applesauce plain, without any flavourings, and then have a jar of a mixture of sugar and cinnamon on the table so that those who prefer a sprinkling of cinnamon on top of their applesauce can do so.